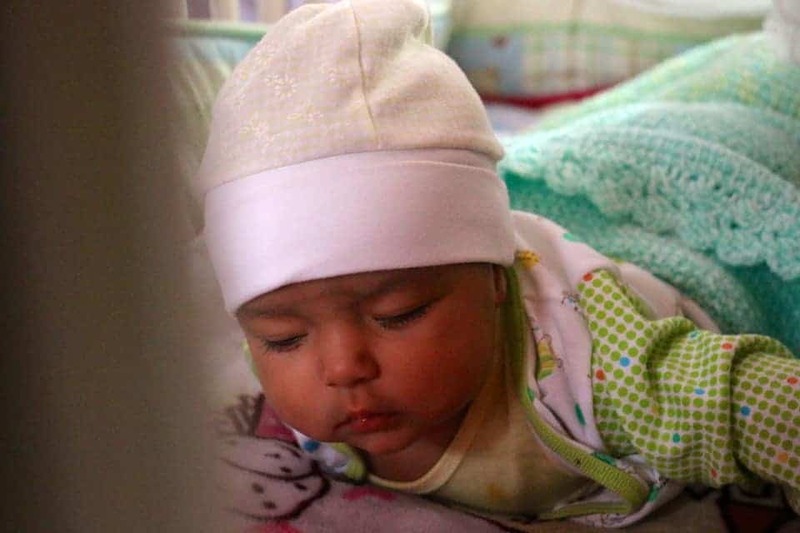 You might not know that the orphanage welcomed a newborn, severely drug-addicted baby several months ago. She needed some special food and extra medical attention. Many of our local expats came to the rescue with cans of baby formula or money for diapers, medicine, etc… Enough to help the little girl and two more babies who need special nutrition. We raised enough money to not only solve the immediate needs, but also financed a second round of the necessary food supplements. 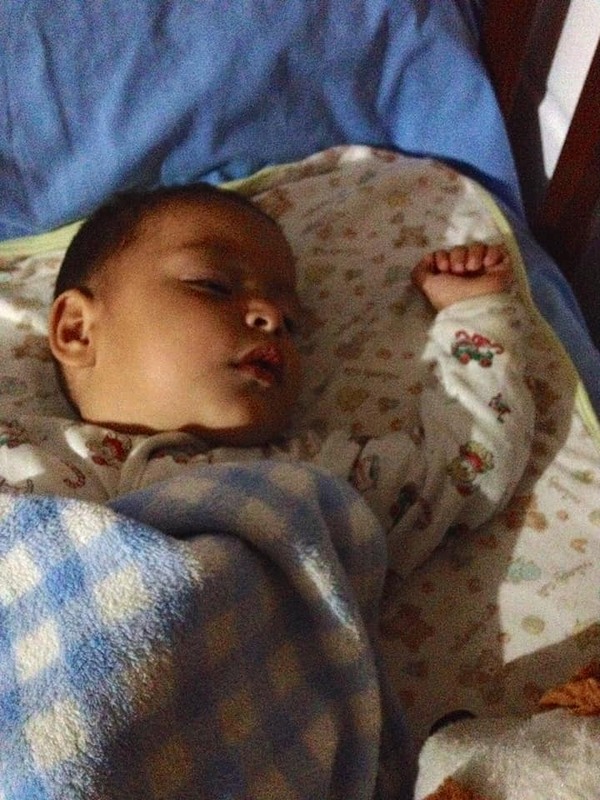 I am happy to let you know that all three kids are doing really well, especially Carla. She has completely recovered from the toxic drugs in her body and is smiling all day. 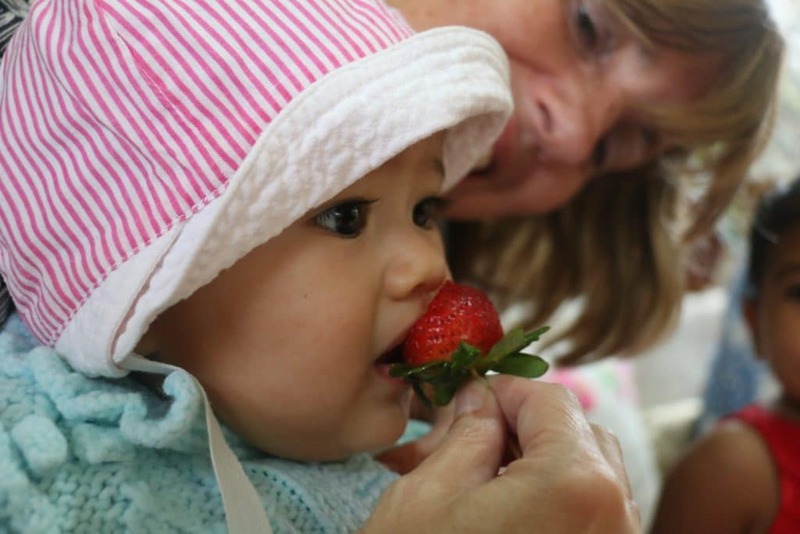 Carla, enjoying her first strawberry. The other day I got a message that – with very short notice – two more babies have been dropped off. Brother and sister, 15 months and 4 months old. And they need the special food as well. We STILL had some money left over from our fundraiser and I immediately bought a few big cans to get them through next month. Together we can move mountains. Our local FOSMO foundation continued this fundraiser and has made sure that there will be enough special food supplements to get us through the entire year of 2019. THANK YOU. As you can imagine, there is always something going on at the orphanage. 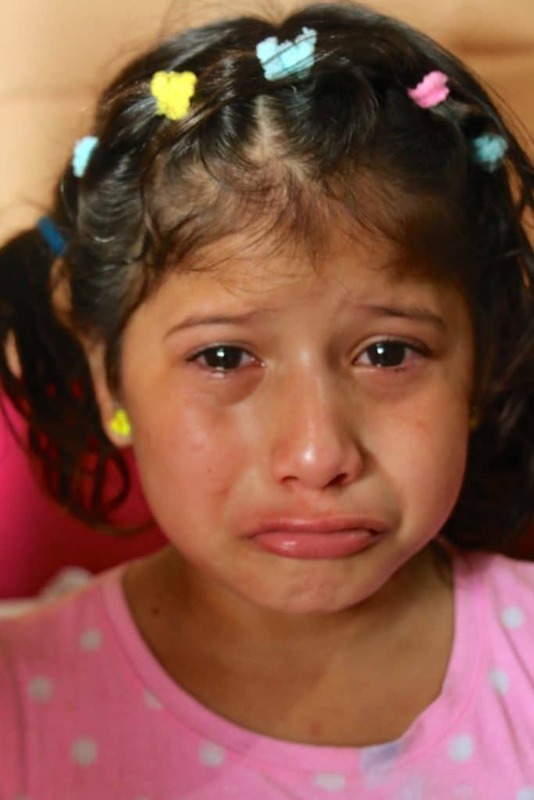 A couple of weeks ago, four more children were dropped off, sisters between the age of 5 and 15, all of them illiterate. The orphanage is scrambling to create room for them, but I know they will succeed as they always do. However, it brings our occupancy to 72. And that is 22 more than the infrastructure officially can handle. I will keep you in the loop on how things will develop in the next few months. The last two pictures are from a birthday party we threw for one of those four new sisters. When the birthday girl saw her cake and opened her gift, her sisters huddled together with her. They looked at each other. Big smiles and then… tears started to flow. All four of them. Suddenly it dawned on me, this was the first birthday party they have ever been given. I said it many times before, these girls don’t know it yet, but they are now in the most loving hands a child can wish for. The moment she realized that her sister’s birthday party was their first celebration in their entire lives. Turning 12 and being celebrated for the very first time became too much to bear for a moment.